UNITED NATIONS, Feb 24 2017 (IPS) - Years of violence and unrest in North-East Nigeria have left millions of people at risk of starving to death. Both the violent up surging of Boko Haram and the government’s harsh military crackdown have left already historically marginalised communities with next to nothing. Some towns have already seen all of their children aged less than five years of age die from starvation, according to Toby Lanzer, the UN’s coordinator for the region. The violence, which began in North-East Nigeria has spilled over into the three other countries bordering Lake Chad: Cameroon, Niger and Chad. A donor’s conference in Oslo, Norway on Friday raised $672 million dollars for the crisis – well short of the target of $1.5 billion. 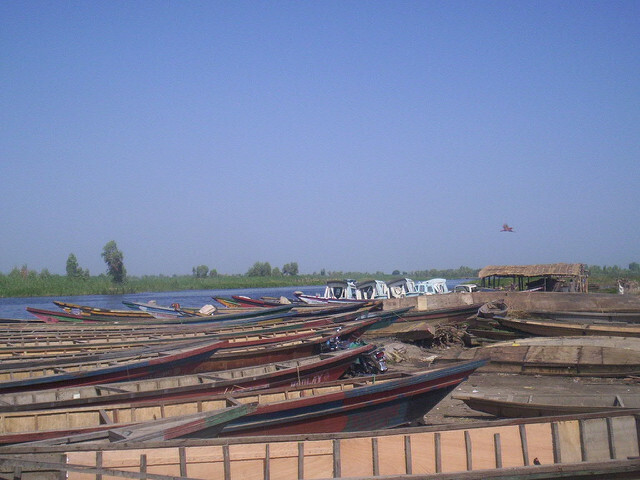 IPS spoke to Sultana Begum, Oxfam Advocacy and Policy lead for the Lake Chad Basin crisis, who was in New York ahead of the donor’s conference. The emphasis on responding militarily to the crisis has left already historically marginalised communities worse off, Begum told IPS. International governments have also been providing military and counter terrorism support in the region, says Begum, but she hopes they will also help support Nigeria to increase the humanitarian response through providing the funding needed to help people affected by the conflict. The military has also been funding vigilantes as a way to fight Boko Haram, a strategy which could potentially backfire and do further harm to local communities, according to a new report released Wednesday by the International Crisis Group. Meanwhile, the Nigerian military has also been leading parts of the humanitarian response, such as running refugee camps, says Begum. However the vast majority of displaced people sheltered in the region are living in the homes of relatives, distant acquaintances and even strangers, who have opened their homes. “These communities have been so incredibly generous some of them have taken 5, 6 families into their own homes,” said Begum. “There are some taking major, major risks to continue fishing.” — Sultana Begum – Oxfam. Credit: Mustapha Muhammad/IPS. Begum says that these communities are hosting some eighty percent of the people who are displaced in the region even though they themselves have their own struggles. Sultana also notes that it’s important to recognise that people living on the edge economically may begin to see these groups as an option. “When research has been done in terms of peoples’ motivations for joining Boko Haram, especially youth and young men in particular, the motivations are often to do with economics,” she said. However in some cases the military crackdown has taken away what little economic opportunities these communities have. 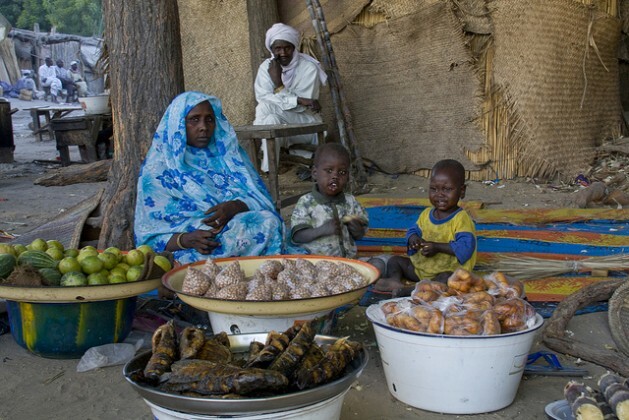 Over the border in Niger, Begum says that emergency measures have destroyed the economy in the Diffa region. The small pepper “was so lucrative for the region,” people called it ‘red gold’. “The emergency measures that were bought in banned fishing, banned the selling of fish, basically restricted peoples access to fuel and fertilizer, banned motorbikes, brought in curfews. So what that meant was that people stopped fishing. Most of these fishermen relied on fishing for 89 percent of their income,” she says. This week the UN warned that North-East Nigeria alongside Yemen and Somalia, are at imminent risk of famine, after South Sudan on Monday became the first country to declare famine since 2012. In North-East Nigeria alone more than 5 million people now face serious food shortages, according to the UN. In all of these four countries the current food crisis is considered man-made, the result of years of unresolved conflict. However, despite their roots in conflict, much more than a military response is needed to end these crises. Update: This article has been updated to include information about the funds raised in Oslo. An earlier headline has also been corrected.